The Zambia Road Safety Trust (ZRST) has made a strong appeal to government to ensure that the recently-launched Lusaka City Roads Decongestion Project adequately addresses the safety of pedestrians and cyclists. 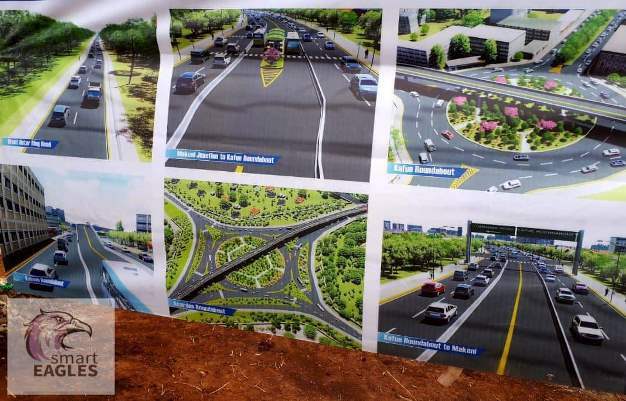 Last Thursday, President Edgar Lungu commissioned the US$289 million Lusaka City Roads Decongestion Project will see flyover stretches and modern roundabouts constructed in Lusaka, with some major roads expanded from two to four lanes. The project has been hailed as one that will bring both beauty and convenience to the nation’s capital. In a press statement issued today, ZRST chairperson Daniel Mwamba urged government through the Lusaka City Council to engage all stakeholders across government, local government, local and international NGOs, the private sector and the community to invest in facilities for pedestrians and cyclists as they implement the historic project. Mwamba observed that pedestrians and cyclists are vulnerable road users and that road accidents involving them usually result in death or serious injuries. Pedestrians and cyclists account for more than 60 per cent of all road deaths per annum in Zambia for many years now. For example, in 2016 alone, at least 950 pedestrians were recorded killed by the police. Mwamba noted that while many factors contribute to this sad and undesirable state of affairs. The key factor is inadequate road environment which in many cases does not cater to the needs of non-motorised road users. He lamented that there is a total lack of co-ordination between transport and land-use planning resulting in pedestrians and other non-motorised road users having to cross or walk along major roads facing grave consequences, adding that he lack of facilities for pedestrians and cyclists to cross or move alongside roads contributes to the huge number of pedestrian road deaths. “ZRST would like to see a wide range of pedestrian facilities that support safe road use by pedestrians and improve connectivity. These should include signalised pedestrian facilities providing safer opportunities to cross the road, in particular at busy locations where these facilities should give preference to pedestrians with minimum wait times. A wide range of non-signalised options installed such as two staged pedestrian crossings, marked foot crossings, wombat crossings, pedestrian refuges and median islands, pedestrian safety barriers and kerb blisters. ZRST want to see major investments at identified locations for treatments that separate pedestrians from vehicles such as pedestrian footpaths and accessible friendly foot bridges,” Mwamba stated. “The Lusaka City Roads Decongestion Project comes with lots of resources, it should be designed by Zambians for the Zambians that recognise that 90% of Lusaka residents walk. It should also give preference to pedestrians not just vehicles, and if well implemented it will be an opportunity that sets the direction to bring together all modes of transport in the city into a world class integrated network that puts pedestrian first. Mwamba stressed that road safety should encompass all and not a privileged few. “We want to see people walking in a dignified and safer environment across the city of Lusaka after the implementation of the Lusaka City Roads Decongestion Project, not just good nice clean roads for vehicles driven by the privileged few,” he said.